Recently I finished construction of my next miniatures terrain board: NeX-1119, a secretive high-energy research facility. I’d built much of this last summer, and a few people have actually played games with some of the pieces. But the collection has lain unfinished on my shelves until I could figure out what game I was making it for and how to complete it. Now it’s all built! NeX-1119, a secretive high-energy research facility. In the end the board is oriented toward Infinity miniatures, but should work for other games as well. The big difference versus 40k, my other main game (along with X-Wing), is that there isn’t really any area terrain. 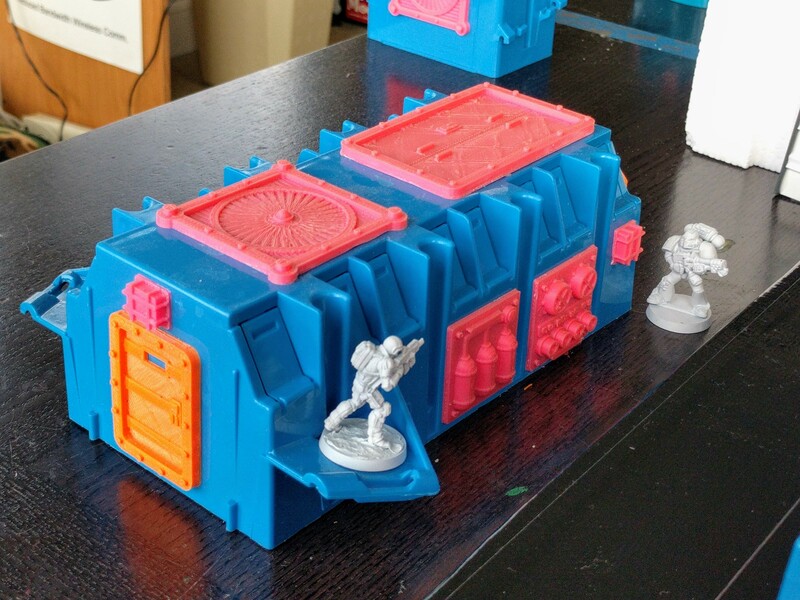 If I’d focused it on 40k I would have mounted the smaller components on hardwood bases to create intuitive area terrain, much like many of the buildings in my Medea Refinery. It would probably also need fewer pieces. That said, there’s enough large line-of-sight blockers here that I think it’ll also work for 40k. It’ll just play differently than more typical ruins+forests+LOS boards. 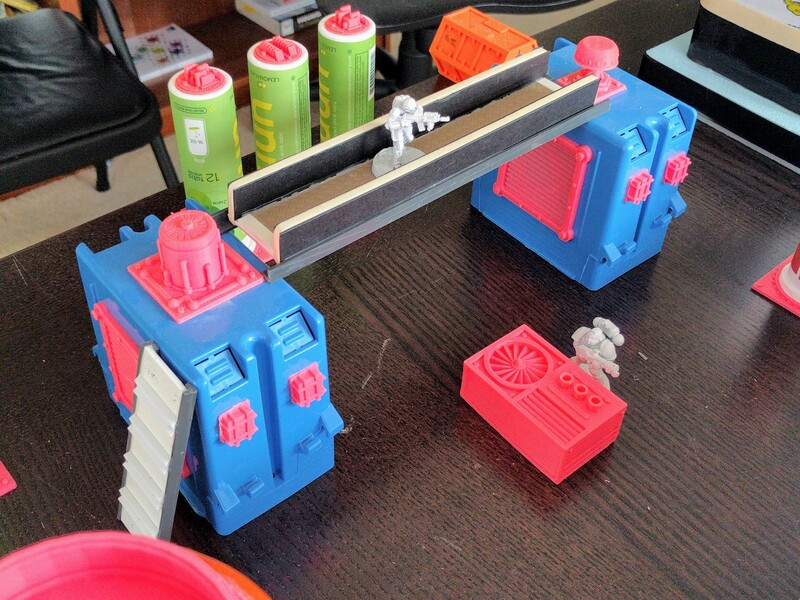 At the same time, these pieces will also foster somewhat different Infinity dynamics than more typical MDF terrain. Much like my Derelict Depot, there aren’t many parapets and railings, so there’s limited ability to move on the top of the structures under partial cover. Instead you need to hop across gaps between generators, radar dishes, and so on to stay covered. I was mindful while working to line everything up and ensure I covered at least 4 square feet, 25% of a standard 4×4 Infinity board. That’s the default density my group has largely aimed for, though recently we’ve shifted to more like 20%. In the end I built a good bit more than that, so this collection might be able to provide for two somewhat less dense tables. Certainly it can provide for multiple 2×3 RECON+ boards. 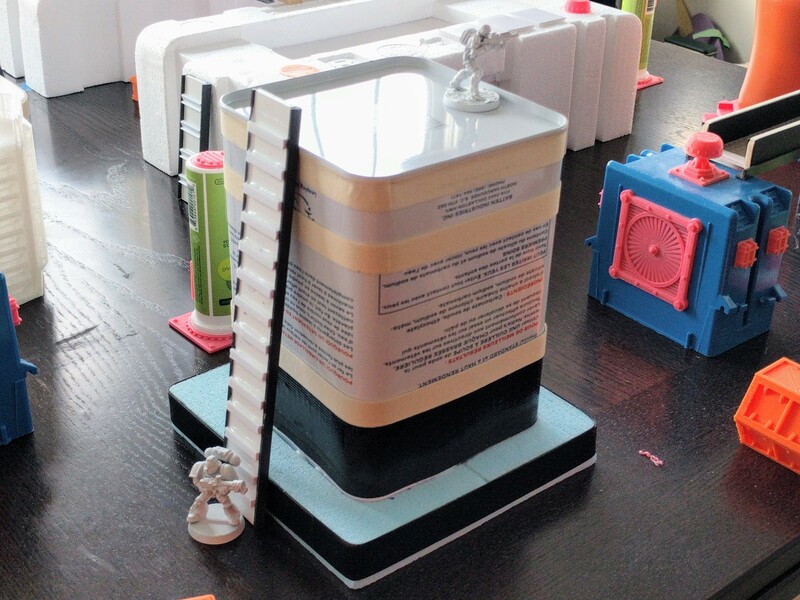 Much of the collection are simple constructions of electrical boxes combined with 3D printed parts for detail. Here and there some other parts crept in, like hatches from a Rhino. 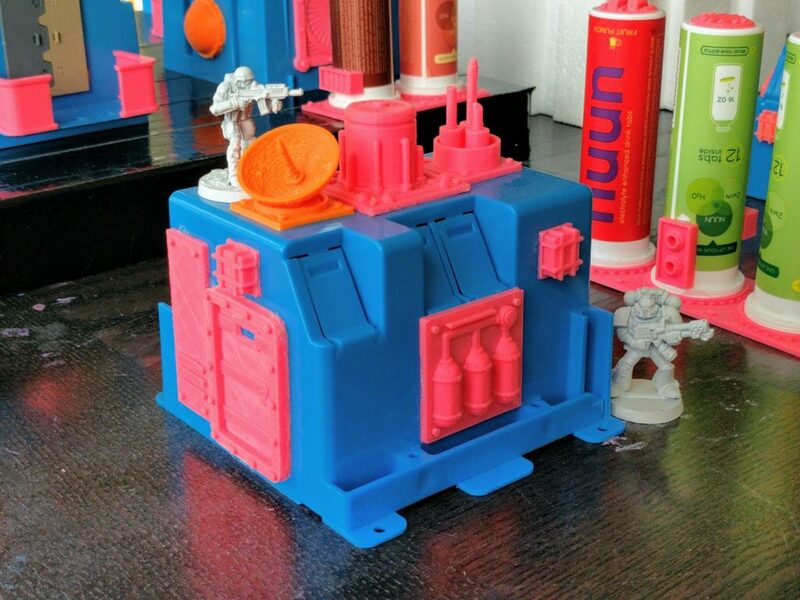 With the exception of a tower shown below, all of the 3D printed parts used here were designed and printed by me. 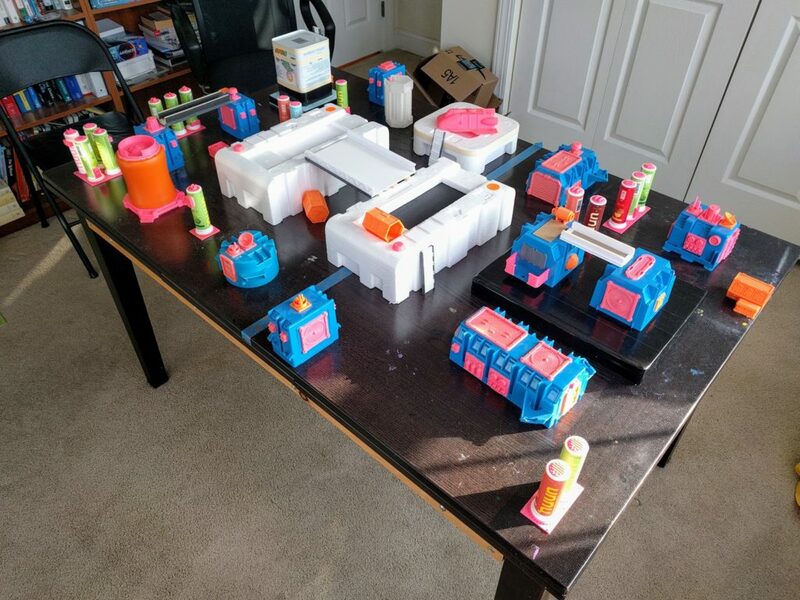 Some are available on my Thingiverse profile. These buildings have very different dynamics from typical Infinity MDF buildings in that they have much less roof area to run around on. But I think they work great as sci-fi, space-colony-module looking pieces. Several different sizes and types of electrical boxes are used, and many different kinds of bits, to create a pleasantly varied look. A few simple scratchbuilt ladders and walkways add some vertical dimensionality, making it easier to access and move between the roofs. To further vary the overall look and heights, a large block is included on which some configuration of buildings can be placed, making them noticeably taller than the others. This also functions as a LOS blocker that covers substantial area/angles, but only for shorter figures. Half modules with integral balconies, raised on a large block, and connected by a walkway. Twinned small modules, connected by a walkway with a ladder at one end. 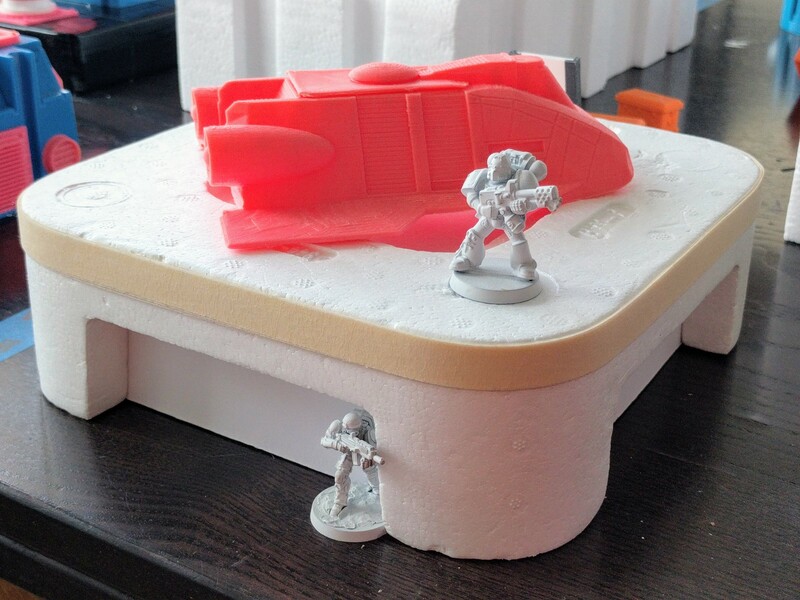 A few simple pieces scratchbuilt from packaging foam provide larger LOS blockers. These are not especially detailed, but have interesting enough shapes that a quick paintjob should bring them to life and look good in play. Notably, all their sides include built-in cavities or protrusions large enough for figures to tuck behind for partial cover. This reduces the amount of scatter terrain needed for the table as it’s not needed to create positions for models to leapfrog between in advancing along the longer walls. Rounding out the buildings are several distinct towers. One is made from a laundry detergent can with a foam base and some tape wrapping to break up the shape, and an optional long ladder to reach the top. It provides the tallest location on the board. 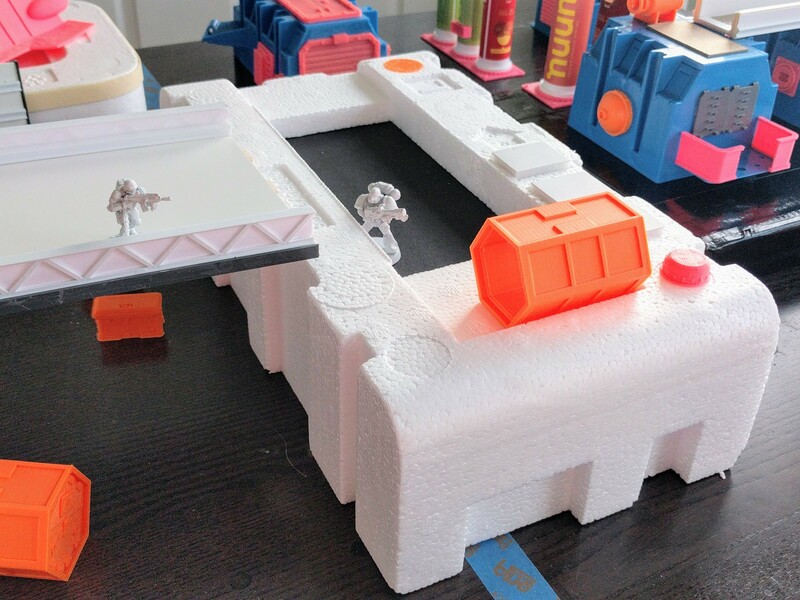 An interesting feature though is that, provided you put no scatter terrain on top, I don’t think it’s an automatic choice as a sniper location for Infinity. There’s just enough lip at the edge that a prone model won’t see anything, but nor will it get any cover if it stands to shoot. So there’s some built-in balance to its commanding height. The other towers provide more straightforward sniper positions with partial cover, but in return are much lower. 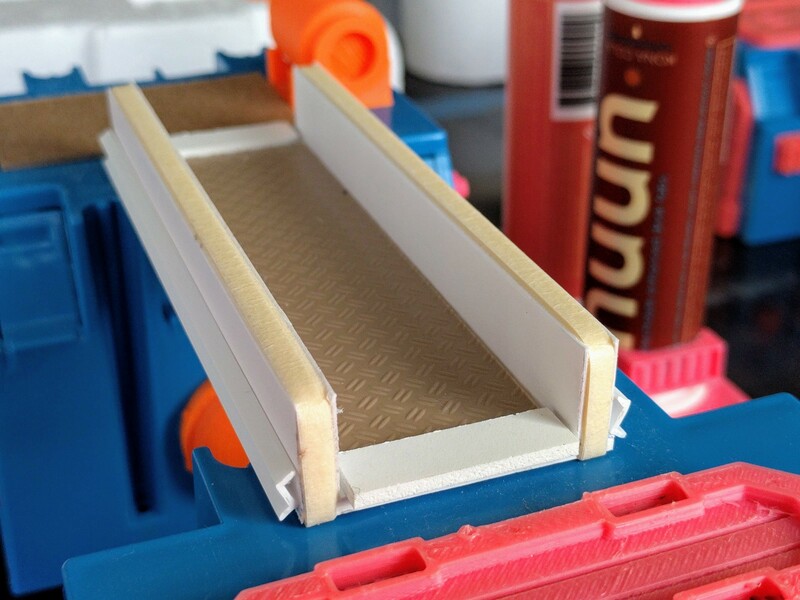 One is made from 3D printed parts custom designed to fit a canister of Gatorade powder. 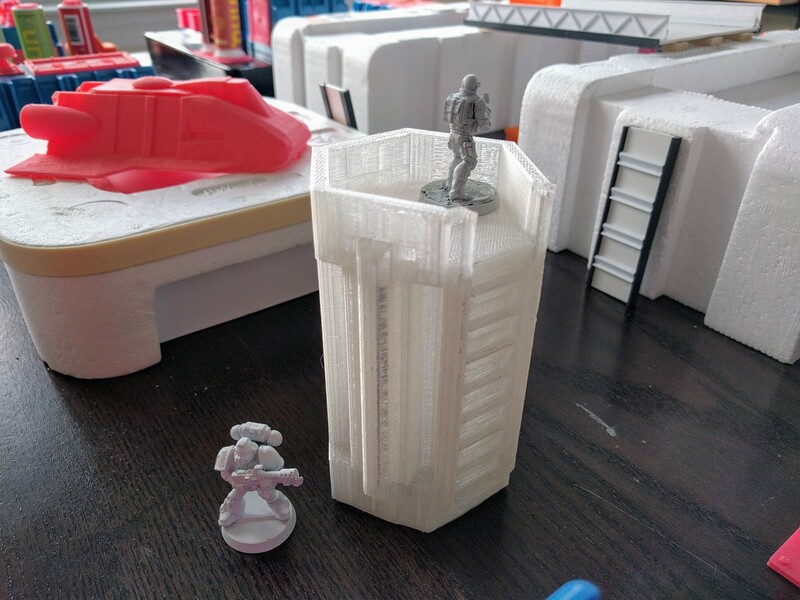 The other is a fully-printed piece that my friend Adam designed to fit some of my Kolony buildings. He left it behind at the shop one day and I figure he can always print more, so I’ve absorbed it into this collection. The last portion of the collection is a bunch of scatter terrain. 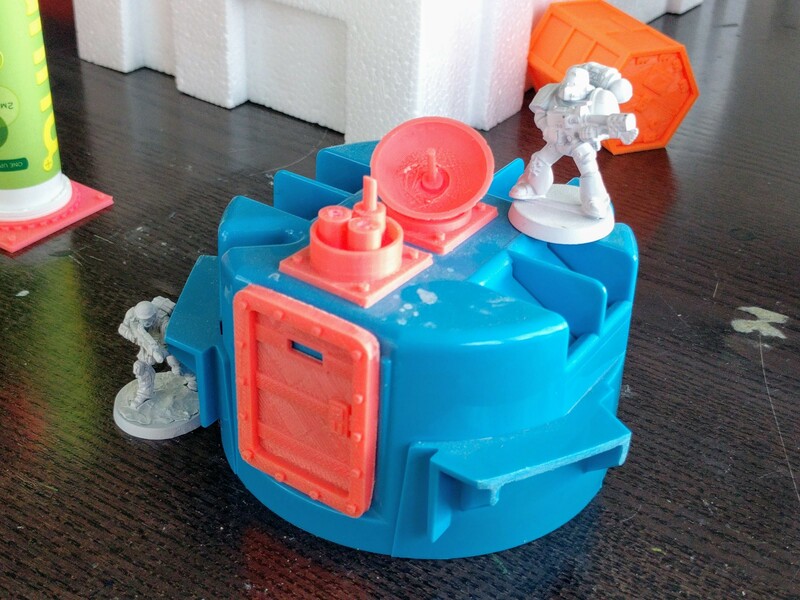 There’s of course a small pile of the containers and chests in my Deployable Cargo set. 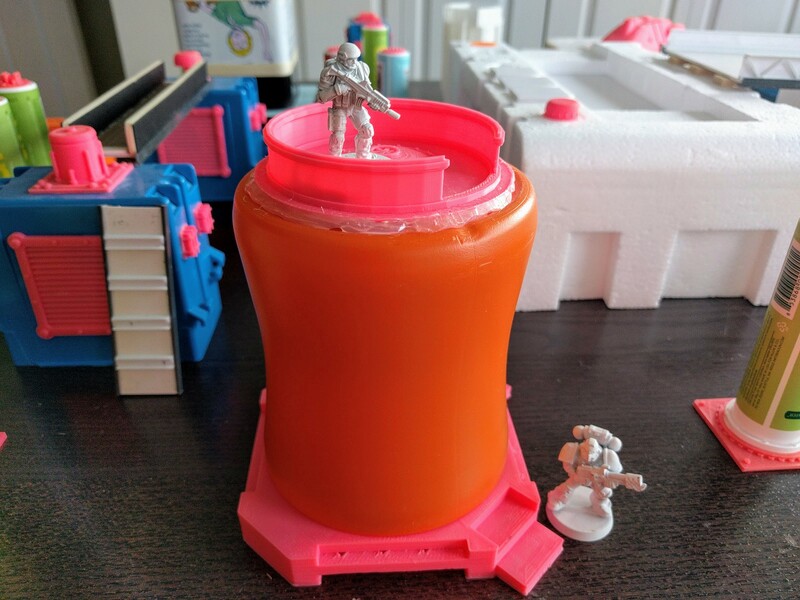 New are some vaguely sci-fi looking pylons made by 3D-printing details and bases to fit a commonly used style of drink mix tablet packaging. 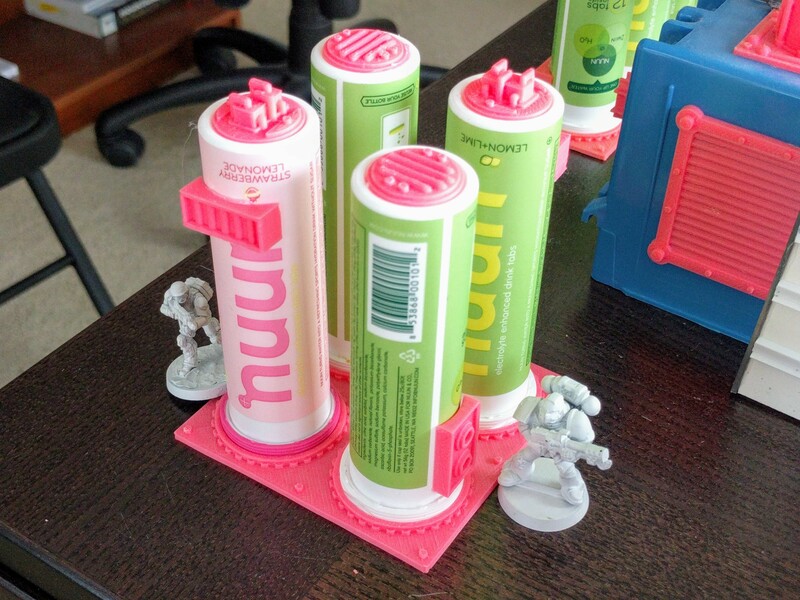 Here I’ve used Nuun sports drink, but Airborne vitamins and other companies are also sold in this style canister. These should be interesting in that they provide good partial cover even for larger figures, and if you work the angles carefully you can move around a bit in total cover. But it’ll also be easy for an opposing figure to get an angle through the pylons to take a shot at your troops. Despite the long gap in the middle, the actual work time for this build was fairly short. 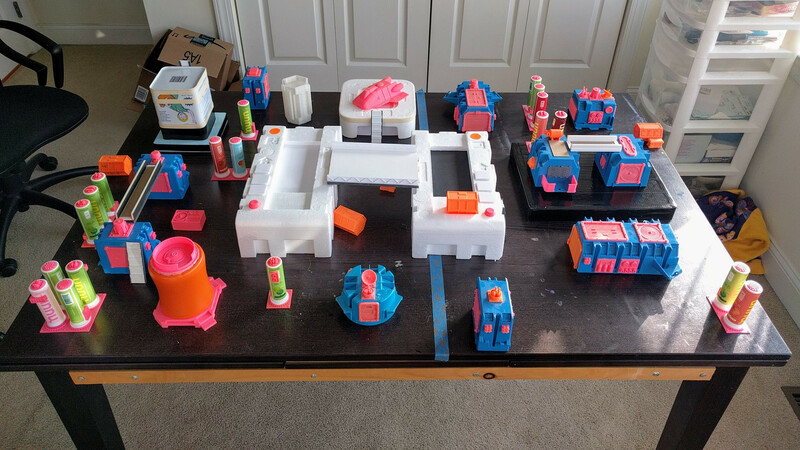 My collection of 3D-printable bits work well with these electrical boxes, and some quick scratchbuilding filled out the set. 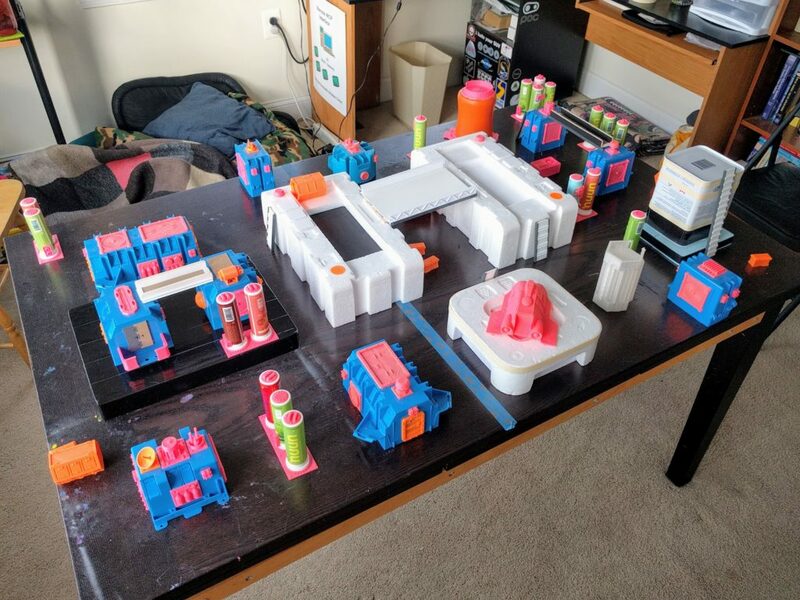 Next up is a (hopefully) quick paintjob to complete the NeX-1119 research station. I’m not sure yet what direction I’ll take that, but probably cleaner and more high-tech looking than many of my previous projects. 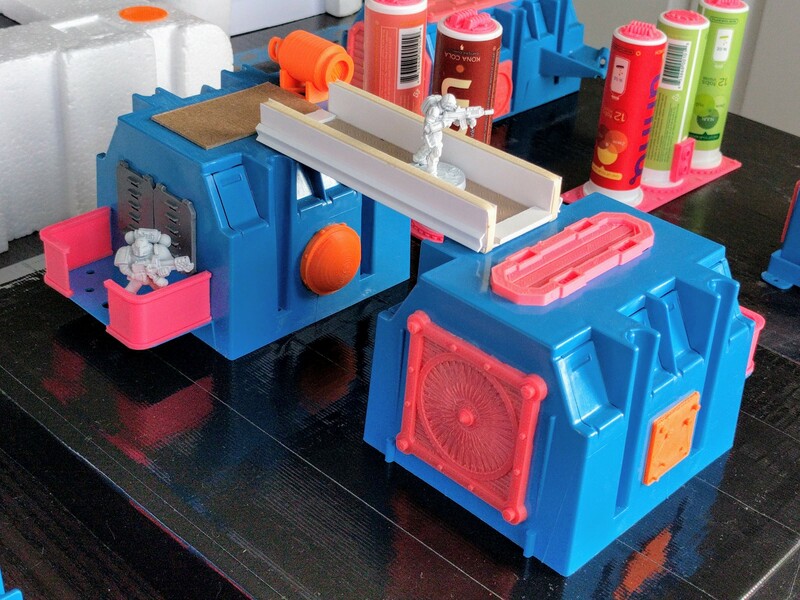 This entry was posted in miniatures and tagged featured, infinity, miniatures, terrain. Bookmark the permalink.